Hybrid V7 is worthy of being your go-to spray sealant and detailer! Chemical Guys V7 Optical Select High Gloss Spray Sealant Detailer raises the bar for spray sealants! 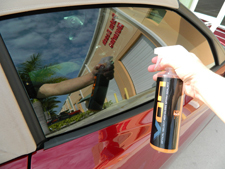 It is a super glossy, super slick sealant that instantly bonds to automotive surfaces, providing long-lasting shine and protection. The clarity is fantastic on any paint finish and virtually any surface. Use Chemical Guys V7 Optical Select High Gloss Spray Sealant Detailer as a wax or sealant topper, on glass, metal, and vinyl. When designing a new sprayable sealant and hybrid gloss enhancer quick detailer, Chemical Guys worked from the ground up. 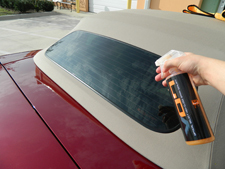 They set out to design a product that would vanish into the finish instantly; a durable sealant that would disappear into the surface in a single wipe and deliver long lasting, superior optical-clarity and a high-shine, slick finish. Chemical Guys Hybrid V7 Spray Sealant has undergone extensive testing to deliver a superior high gloss, wet-shine, deep, reflective finish that takes any surface, wax or base sealant to the next level. Hybrid V7 works at a nano-spec level and bonds to surfaces instantly while its hybrid fast-flash technology virtually disappears into your finish, leaving a durable, streak-free, high gloss, slick, non-stick finish. Three years in the making and it is finally here! Chemical Guys shipped out 53 different formulations in an effort to create a product unlike any other. They shipped samples all over the world from Thailand and China to the UK and even Romania. Out of 53 different samples that went out to over 300 different testers, virtually everyone came back raving and ranting about the same sample #23771-V7. That is the very same formula that is packaged and ready to deliver to your door as Chemical Guys Hybrid V7 Optical Select High Gloss Spray Sealant Detailer. Try Chemical Guys V7 Optical Select High Gloss Spray Sealant Detailer on your vehicle's paint, glass, chrome, and plastics. 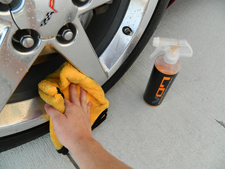 It may just become your go-to detailer! For best results, spray Hybrid V7 to any surface and then use a clean microfiber cloth to gently wipe the area clean. Flip the towel and buff to a brilliant shine. Apply Hybrid V7 after every wash to ensure a perfect finish with long lasting protection. Use Hybrid V7 between washes to remove dust, bird droppings, and water spots while extending surface protection. Remember to always use a clean microfiber cloth to minimize the risk of scratching. Super gloss, slickness, beads water like crazy, beautiful shine, especially to a white vehicle, just gives it real depth. And that is what my customers love about me. Great product. Easy application, no streaks and great smell. Use after every wash.
V7 has been my "go-to" detailer for over 2 years now. It is definitely one of the finest detailer products out there...easy to use, excellent shine, produces a "slippery" finish and enhances the protection on your vehicle's paint finish. I try to use it every time I wash my vehicles and the results are always that super fresh shiny look that I love + I know there's an extra layer of protection from the harsh elements in todays environments. You can't go wrong with this product! I use this product after washing and drying my vehicles. Easy to use with no residue or streaking. 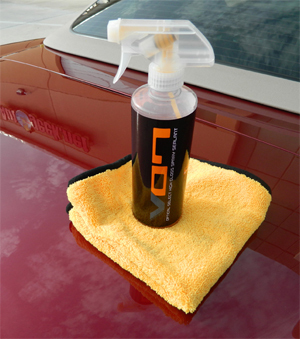 It's absolutely perfect to prolong the life of my other sealant especially after washing during the winter months. ProsEasy to use, fantastic shine. ConsSprayer qua lit should be improved.